See Sharp Press, 9781937276058, 300pp. Set in a dystopian society in the not-too-distant future, this sci-fi novel follows the misadventures of a bar musician and army vet who's set up on terrorism charges and deported to a single-continent prison planet. After a fight in which he nearly kills a neo-Nazi, the antihero main character flees to the other end of the continent with a prisoner he knew from Earth—a Mexican anarchist and fellow musician—on a Gulliver's Travels–type journey through a number of political and religious cult compounds. With comical depictions of the various cults they encounter on the way, Free Radicals insightfully explores the often-failed attempts at utopia and the day-to-day life of two traveling musicians. 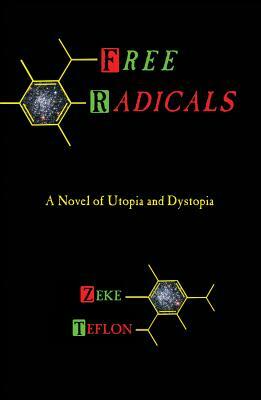 Zeke Teflon is the pseudonym of a successful nonfiction author whose books cover subjects including music theory for rock musicians and religious cults. He is also a performing musician. He lives in Tucson, Arizona.